Jonathan Fowler of Fowler Holding Co. says the food trucks set the dealerships apart. Fowler Holding Co. in Norman, Okla., decided to hire food trucks to feed employees - and customers - at its Dodge and VW dealerships on Saturdays instead of giving them junk food. Food trucks make lunch unique and healthier, in the stores' view. Later this month, food trucks will reappear in the parking lots of two Oklahoma car dealerships on Saturdays to feed employees and the public. After a trial last August to October, Fowler Dodge in Oklahoma City -- which also sells Chrysler, Jeep and Ram -- and Fowler Volkswagen of Norman will offer customers and employees free food from these eateries on wheels. It's a way to set the dealerships apart from the competition, get people to come to the stores and support the local food trucks, said Jonathan Fowler, vice president of Fowler Holding Co. in Norman, which owns seven dealerships. "We do get people that show up just to eat food," he admits. But that doesn't bother Fowler: "Car dealerships can be scary for some people. It breaks down barriers." Fowler considers it a victory "to get somebody just to come onto the lot and relax and not be bombarded by people trying to sell them something." Later, when consumers initially drawn by the food trucks may need service or a new car, "they can look at us in a more positive light," said Fowler. 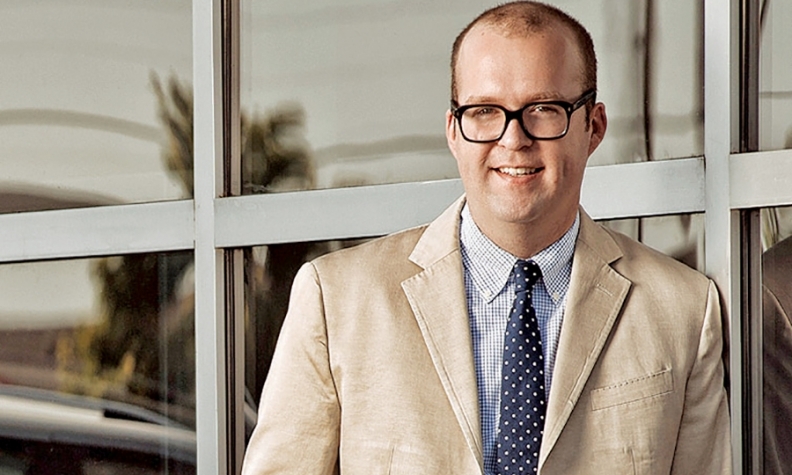 Fowler, 32, oversees the group's marketing, digital and community outreach programs. The group was started in 1973 by Fowler's grandfather Bill Fowler, who bought a Toyota store in Norman. Today, the family also owns a Honda dealership in Norman, Toyota and Chevrolet dealerships in Tulsa, Okla., and a Chevrolet store in Denver. The seven stores sold about 1,200 new cars last year, said Jonathan Fowler. After college, Fowler joined the family business in 2006 as a financial analyst. In 2010, he became general manager of an open Volkswagen point the family was awarded. 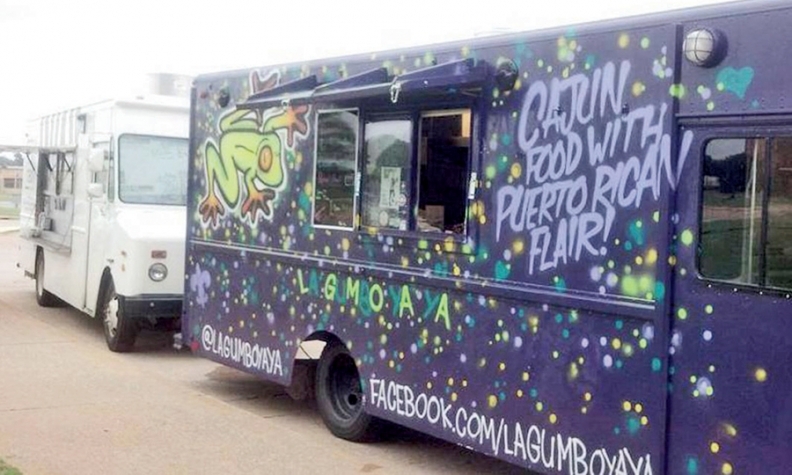 The food truck program started as an alternative way to feed the dealerships' employees on Saturdays. The Chrysler-Jeep-Dodge-Ram and Volkswagen dealerships provide lunch for salespeople and managers "because we want them to stay at the stores and sell cars," Fowler said. Before, lunch was typically fast food -- hamburgers and french fries. "The employees usually got tired of it; you would hear them complain, and we would switch to pizza," Fowler said. Customers also were offered the junk food, "but it is not the kind of fare people want to eat at a dealership," he said. The Chrysler-Jeep-Dodge-Ram store opened in 2003, "before we discovered the importance of having more experience-based retail at our stores," said Fowler. Fowler said he became involved in the food-truck scene in Oklahoma City with some friends who owned eateries. The dealership group began sponsoring block-party events downtown in 2013. Streets were closed as thousands gathered on the last Friday of every month to hear live music and eat from more than 30 food trucks, Fowler said. Saturday lunches at $5 per head were costing about $500 each week for 100 employees at one store and about $200 at the other. "We figured out for that cost we could get a food truck to show up and feed our people lunch -- we could keep it unique and make it healthier," Fowler said. And customers also could eat from the trucks that now include The Loaded Bowl, with vegetarian salads and wraps, Kaiteki Ramen, with ramen broth-based soups and Asian chicken wings, and Off the Hook, with seafood. People came, ate and generated buzz. The dealerships promoted the food trucks through social media, but best of all, "it is something our competition isn't doing," Fowler said.